Here’s a round-up of my perfume favourites from this year. Admittedly I have not tried anywhere near the hundreds of perfumes that have been released in 2014, however my first New Years resolution is to try and sniff more in 2015! Guerlain : Terracotta Le Parfum : A great summer floral centred on tiare, jasmine and ylang ylang that triggers yearnings for summer’s lazy beach days and heady nights. 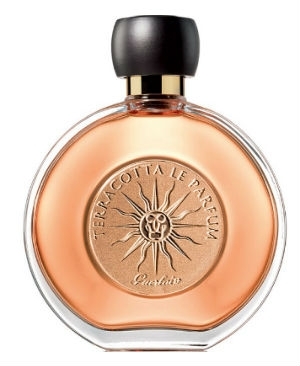 This limited edition by Guerlain’s in-house perfumer Thierry Wasser apparently sold like hotcakes so it’s great to see that Terracotta is back for sale on Guerlain’s website. 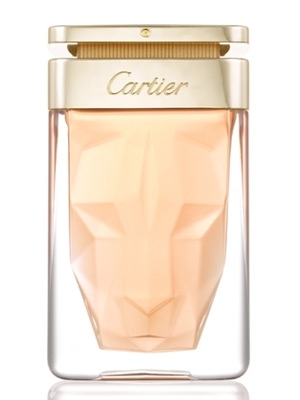 Cartier : La Panthère : A relatively brave composition from Mathilde Laurent at Cartier considering most mainstream releases are sweet, fruity cocktails of sky-high stiletto proportions. This fruity (but not sweet) approximation of a chypre, intrigued me from first sniff. This gardenia centred perfume has an alluring haziness. La Panthère doesn’t possess the furry roar that the name infers but does speak to me as a wearable modern chypre. Plus I love the bottle for this one. 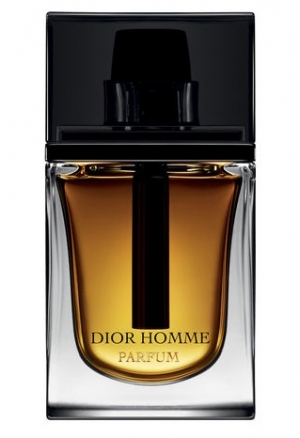 Dior : Dior Homme Parfum : Righto I’ll admit that I’ve only tested this François Demachy creation in-store a few times, but it was love at first sniff and I keep going back for more. The iris in the original Dior Homme is dialled down and the whole scent just has a lovely warmth and cosiness in a similar way to Dior Homme Intense while amping the snuggle factor with the addition of a leather accord that really makes this a winner for me. I’m lemming a bottle of this one. 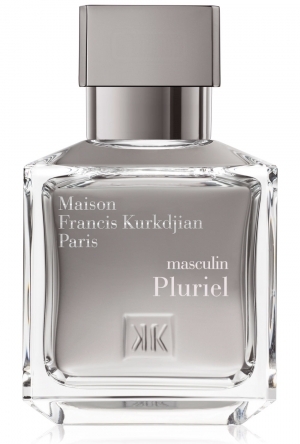 Maison Francis Kurkdjian : Masculin Pluriel: Admittedly this is no ground breaking perfume nor is it a huge powerhouse, look at me type of scent. However I’ve drained two samples of this already and think it’s a beautifully well done contemporary woody aromatic with a gorgeous comforting lavender and woods mix. This would make a great smelling easy to wear work perfume. It’s a sophisticated masculine that works equally as well for women that aren’t put off by a scent that says Masculin on the label. Papillon Artisan Perfumes : Anubis : A dark, smoky, leathered jasmine beauty that has the most exotically charged opening I have smelt this year. It has the seductive powers of an enchantress that has captured you unawares, skilfully slipping this addictive, narcotic potion into your veins. The perfume loses volume a little too quickly for my liking but the immortelle, incense and sandalwood keep flickering and my god it’s beautiful. I have a sample of Liz Moore’s Tobacco Rose, her well regarded rose perfume and this is also a must try. This Egyptian temptress is very difficult to get hold of if you live in the EU though, I lucked upon it on a quick trip to London. Vero Profumo : Rozy EDP : Vero Kern‘s muse for Rozy is the Italian actress Anna Magnani. Tennessee Williams was so enthralled by the actress that he wrote The Rose Tattoo specifically for Anna to star in and she won an Academy Award for this role in 1955. I have a bottle of the EDP and carefully selected this as my special Christmas Day perfume after much navel gazing. It is a sensual, warm but crystal clear perfume that oozes the golden hues of passionfruit, peach and honey with flecks of floral rose and lilac that wears like a brightly coloured precious jewel. To top it off Rozy has tenacity and can still be smelt the morning after like the scent of a lover’s skin. Admittedly I haven’t yet tried the Voile d’Extrait but I imagine this is absolutely gorgeous as well. En Voyage Perfumes : Fiore di Bellagio : This is a beautiful 1920’s styled floral inspired by Zelda Fitzgerald and Caron’s Bellodgia that I can’t wait to wear in spring. This perfume brings to mind an emerald-green Italian garden, that is well maintained but not overly so. It still offers the thrill of something left undiscovered. 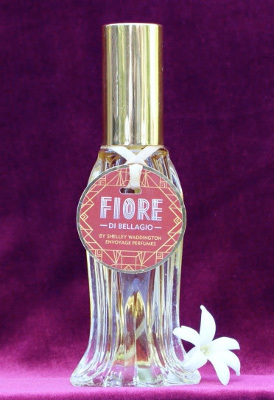 Although Fiori di Bellagio is composed of many different floral notes including carnation, jasmine, rose, ylang ylang and gardenia, they are all blended beautifully and no flower dominates for too long. This perfume smells so lush with a green tinged ripeness but is also full bodied with a lovely resinous base. I can’t wait to sample more perfumes from Shelley Waddington‘s line. Award goes to La Panthère by Cartier. Beautifully executed and stylishly elegant with a hint of panther. 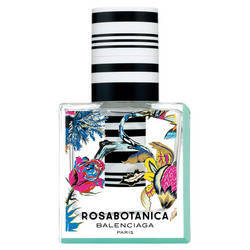 I also loved the beautiful Rosabotanica bottle from Balenciaga for its sci – fi rose. 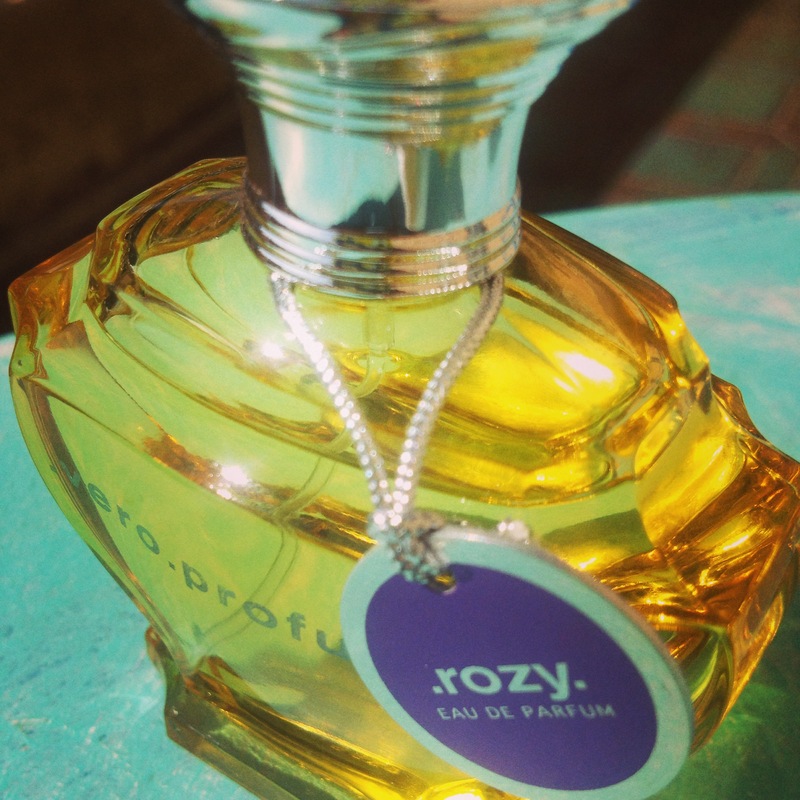 Vero Profumo : Rozy Voile d’Extrait : Obviously this is first on the list as I have discovered Vero Profumo’s perfumes are a BIG LOVE for me. Masque : Tango and Russian Tea : This Italian brand based in Milan, created by Riccardo Tedeschi and Alessandro Brun are making perfumes that sound exotic, thoughtful and well constructed. 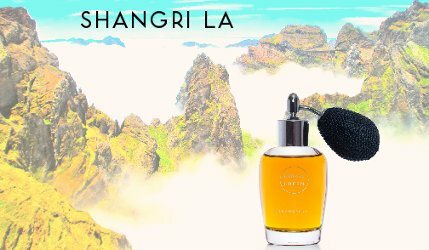 Shangri La : Hiram Bloom : His Moon Bloom was a critic’s favourite in 2013 and this new release, an old school chypre sounds intriguing. Both Kafkaesque and The Scented Hound have posted favourable reviews on this fragrance. 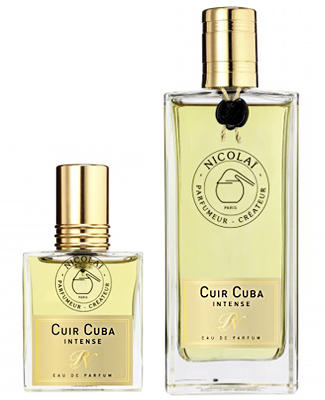 Parfums de Nicolaï : Cuir Cuba Intense : This leathery tobacco sounds right up my alley and I have an affection for Patricia de Nicolaï‘s sophisticated well made perfumes that evoke French quality. Plus she sells her perfumes in 30ml bottles, a godsend for perfume lovers. I have admiration for her as a woman trailblazing through French perfume land in what seems to be a very male dominated industry in this country and for her work as President of the Osmothèque, the institute that is akin to a library of perfume in Versailles. It preserves old perfumes, surely a treasure trove for the perfume lover and a must visit for me in 2015. 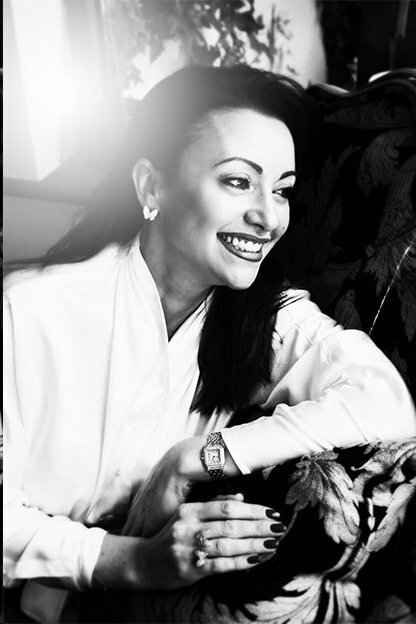 She also released a book this year, Nicolaï that celebrates 25 years of her business. It’s on my perfume must read list for 2015. Les Senteurs in London – hands down. This is where I first tried Anubis and bought it on the spot. The Store Manager Callum Bolt was incredibly knowledgeable, helpful and put up with loads of questions from me. I would encourage anyone who is in London to pay a visit. They have a great range of niche perfume and it’s so refreshing to talk with someone who knows their stuff. This is unusual and god it’s like a drug for a perfume junkie. I really wanted to get to Bloom in London as well but didn’t manage it. 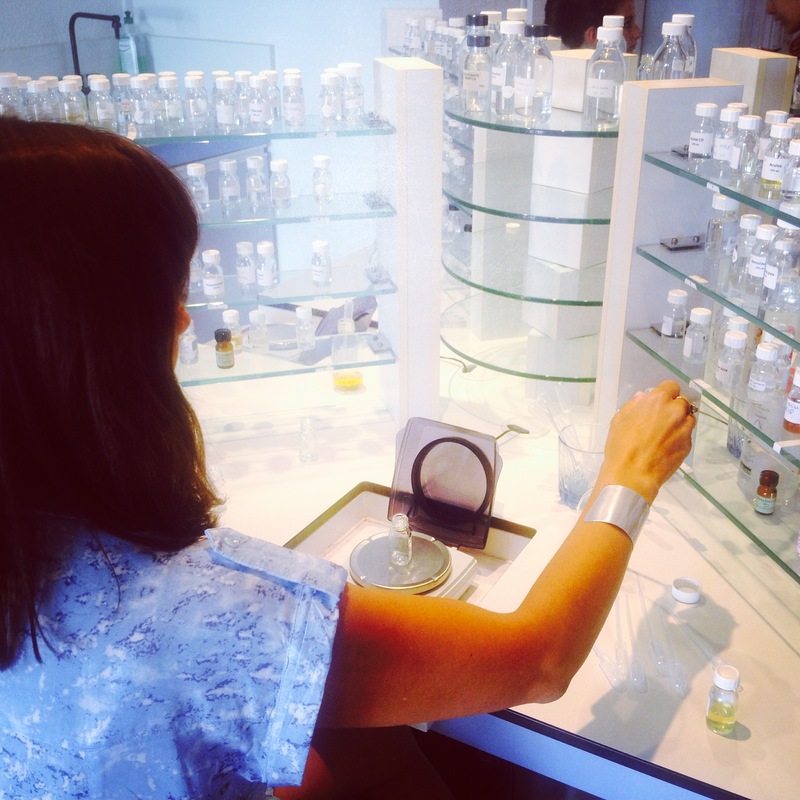 Next time …..
Perfume Summer School at the Grasse Institute of Perfumerie (GIP) was a highlight for me this year. I’ll do a proper post on this for perfume lovers in 2015. To be fair I enjoyed this course immensely but it will not be for everyone as the delivery style and / or approach will not appeal to all. It is annoying how mainstream / designer houses that have a masculine / feminine divide price men’s perfume lower than womens per ml. For example, if we take a look at Dior‘s best feminine and masculine sellers on the Sephora France website we can see that J’Adore EDP (feminine) – 100ml is priced at 114 Euro, whereas Dior Homme is 81.60 Euro for 100ml and you can get a whopping 150ml for 98.90 Euro. Well obviously I’m on the winning side when I want to buy a masculine but really just plain annoying and sexist. This sort of pricing behaviour irks. Eye popping prices for a wealthy clientele that require exclusivity via high pricing and positioning. Note that in the perfume world high prices do not guarantee a great perfume. From a business perspective, obviously there is a market for these perfumes, as you can in all reality charge what you like and people will buy it if it is cloaked in exclusivity. The rich are getting richer every year and the Middle East and potentially lucrative Asian markets are still relatively untapped. 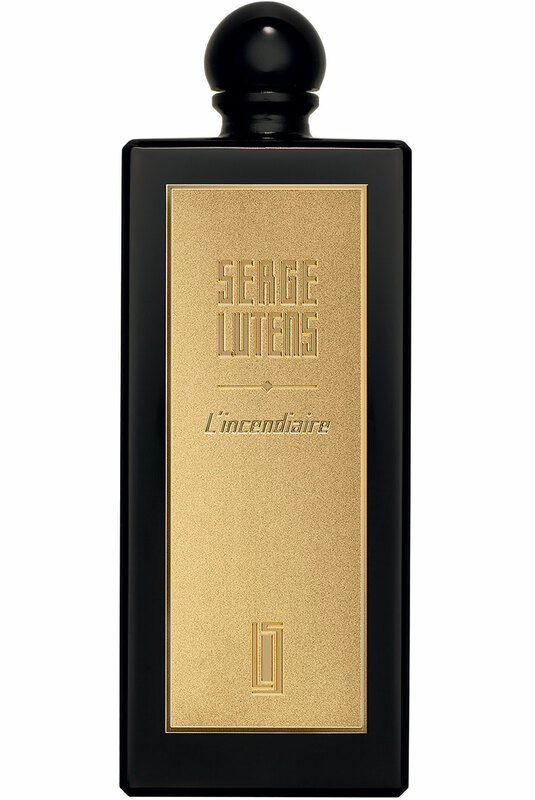 My favourite brand Serge Lutens this year released L’incendiaire, the first in a new luxury line that retails at US $600 to capture the consumer market where money is no object. I’m not sure why this particularly annoys me as there are plenty of examples where apparently not great perfume is sold at exorbitant prices and by all accounts L’incendiaire is a lovely perfume. I’m just a totally loyal Serge fan who won’t be able to shell out for this one. Expect more start ups to target the exclusive end of the market. I would like to add that if you are starting out on your perfume journey, there are plenty of great scents that won’t set you back a mortgage payment. The classic Guerlain’s are a case in point. Start with these and be wowed by these beautiful perfumes that cross time and trends. 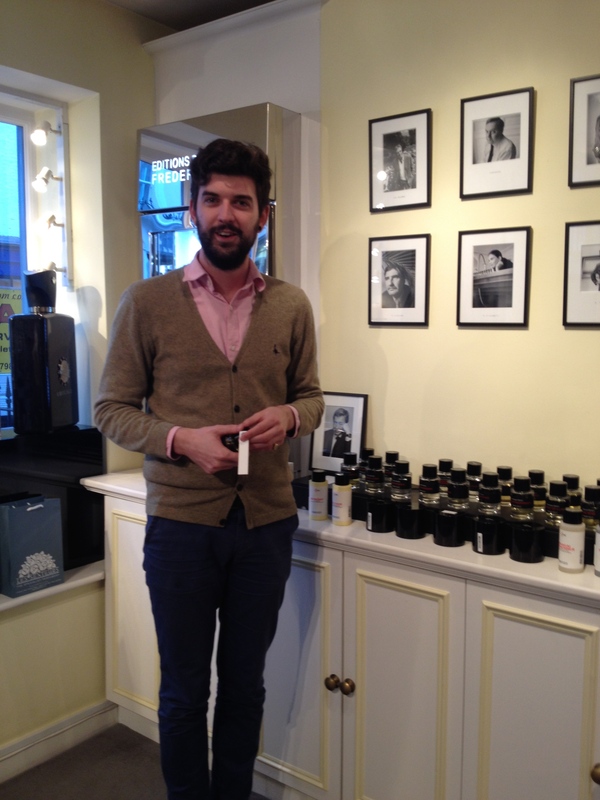 There seems to be a tidal wave of natural perfumers particularly in the USA whose work I want to get to know in 2015. This seems to be a small but growing segment that caters to the ‘green’ or knowledgeable perfume consumer that wants to try something different, less mass marketed, that taps into the trend for craft and the desire for something that is well made. Mandy Aftel (Aftelier), Shelley Waddington (Envoyage Perfumes) and Laurie Erickson (Sonoma Scent Studio) are on my must sample list for next year. The Italian perfumer known as Dominique Dubrana or Abdes Salaam Attar who Surrender to Chance have collaborated with this year on two new jasmine perfumes (Surrender and Cold Water Canyon) has definitely piqued my interest. I’m dying to try Tawaf, apparently one of the best indolic jasmine fragrances on the market. Liz Moores from Papillon Artisan Perfumes. I love that she has had minimal perfume training but has obviously honed her skills over the years. She lives in the New Forest with lots of kids and animals and has released three gorgeous perfumes to launch her brand. She is an exciting talent to watch in the perfume world and I can’t wait to see what she releases next. This year I discovered the writings of The Silver Fox on the fabulous US based perfume website Cafleurebon. He makes perfumes sound exquisitely gorgeous and wearable. His perfume vocabulary, knowledge and eloquent yet sensual writing style makes me crave whatever scent he’s writing about. Fantastic Megan! I agree with you on so much. Liz Moores is indeed a talent to watch, Anubis is incredible, Les Senteurs is fantastic, and your perfume gripes are totally on the button. Bah to exclusivity pricing and yay to affordable but good classics such as Guerlain! I look forward to reading more from you in 2015. Happy New year Megan! Sam – A very big happy New Year to you and the family and your partner in perfume crimes Lisa Wordbird. You were one of the people who inspired me to start a blog so thanks for that! Oh wow! That’s amazing. That’s made my day. I popped over and had a look at your blog and my goodness I could learn a lot from you! Good luck- I wish you bounteous traffic and the deep satisfaction of sniffing something new! Thank you for your kind words iscent!